Dancing is a form of self-expression that I have always been in awe of. As a young girl and well into my teenage years in high school, every time there was a talent show that I could enter my friends and I would sign up. A dance would be the talent that we chose to showcase. We would pick the latest trending hip-hop song and start rehearsing and practicing as if our life depended on it. Needless to say, the hard work always paid off, because we would receive compliments and rounds of applause even weeks after the show. As a mother and an aunt, dancing is the main activity that the children and I enjoy doing when we get together and have fun. They each choose their favourite songs and then each one of them takes turns busting moves and letting loose. We all enjoy dancing to songs that have us breaking into a sweat and exhausted at the end of it all. And one thing is for sure, we love to dance. As they work together in groups and pay attention to one another and their surroundings, they gain confidence. It may seem a bit hard for them in the beginning, but once they master routines with a partner or in groups, this boosts their self-confidence. By memorizing routines and choreography, you will find that children become better listeners. They can remember instructions. Are you worried that your little ones are not doing enough physical activity or getting out of the house enough? Then dancing is a good way to infuse both exercise and activity. They won’t even realise how much fitness they are actually partaking in, because they are having such a good time doing it! Children who learn to express themselves through dancing are able to experience increased joy and mental health. That’s because it becomes an amazing outlet for them. There are so many different genres of dance that children can enjoy. This means children are able to boost their levels of creativity by trying out all the different types. They’re many different and fantastic dance teachers and schools in Gaborone. Watch this space we will be doing a round up soon! However, there is a new class for children starting today. 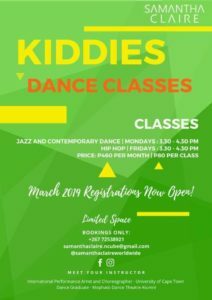 You can now register your little ones for classes with International Performance Artist and Choreographer, Samantha Claire Ncube. Classes will begin on Monday, 4th of March at the AWA Gymnasium (next to the University of Botswana, opposite the Muslim Mosque). Samantha Claire will be offering Jazz, Contemporary classes as well as Hip Hop classes. Children from the ages of six years and above are welcome to register. These classes take up to 20 children and there are still slots that are available. For P80 per class or P460 per monthly, your little ones can join in on the dance revolution. For those who may not get a slot during the March classes, there will be classes will be ongoing throughout the year. Not only will she be offering classes for children, but there will also be classes for adults too! 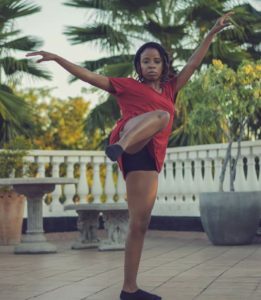 Offering a fusion of Urban African Dance and Traditional Dance. There will also be Contemporary Dance. Adults can also stay fit and have an immense amount of fun while doing it. These classes come at a fee of P80 per class or P520 monthly. One thing that can be guaranteed, is that young or old, dancing is a thrilling form or art. It not only keeps you feeling fit and healthy, but allows you to have fun with others while doing it! For more information and to book yourself or your little one space have a look at Samantha’s listing on Family Gems. Ndibo is a young mother of a three-year-old little boy. She is extremely passionate about writing and has been writing poetry since her early teens. She has also been fortunate enough to have her poetry published in local anthologies. 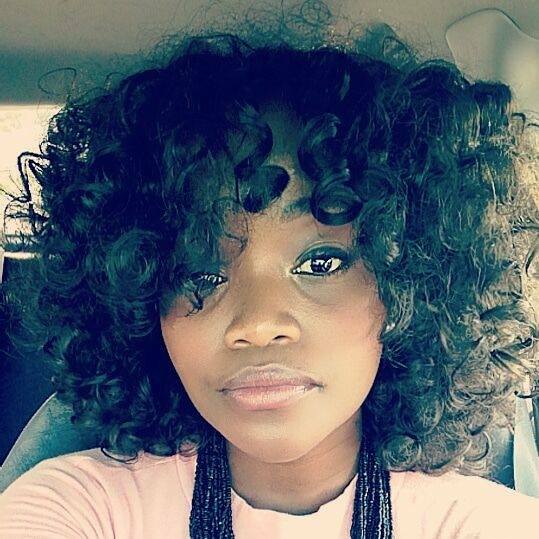 Ndibo has a degree in Media Studies from the University of Botswana, which is where she developed a love for writing non-fiction articles, short stories and dreams of one day being a published author.